Siri, Google Now, and Cortana: Three leading voice assistants that can complete your automated tasks. They come highly recommended by smart home users and are constantly evolving to deliver better results. And while each assistant is great at what it’s designed to do, it does come with flaws and limitations. 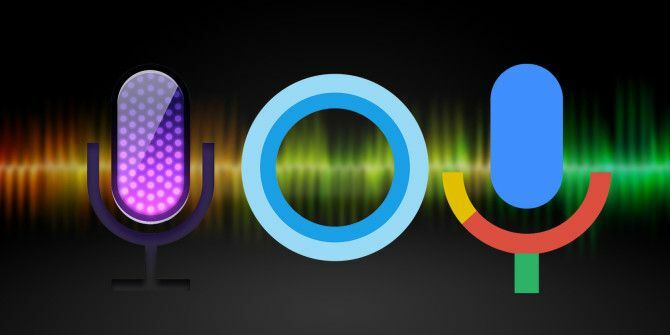 To find which is best for you, and which voice assistant fits your specific needs, we’ve unveiled the pros and cons for Siri, Google Now, and Cortana. Big-name brand Apple competes on the smart home stage with its ever impressive voice assistant, Siri, and it’s home automation device, HomeKit. Together, they work with an assortment of smart home brands, including ecobee, Honeywell, NanoLeaf, iHome, and Philips Hue, with more brands expected on the way. The intelligent assistant and HomeKit can wirelessly automate a whole host of smart products, including bluetooth devices, smart locks, smart lights, and thermostats, just to name a few, with Siri playing a big part in each automation process. Though, sometimes, Siri can be a pain. Using the wrong phrase such as “Set the…” instead of “Turn on…” or “Turn off…” can confuse Siri, which can be pretty annoying at times. Furthermore, Siri has so far shown an inability to answer complex questions, and instead uses juvenile humor to get around addressing your commands when it fails to understand. This is a problem, and something Apple will need to address. Additionally, Apple’s Siri isn’t great at knowing what you want. 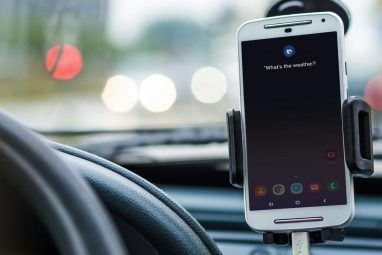 For example, Siri will tell you about the weather when you ask, but won’t automatically inform you of other important information, like traffic, restaurants nearby, etc, something Cortana and Google Now does extremely well. Also, Siri’s incompatibility to work in the cloud has limited its ability to compete with other voice assistants. Tim Cook and other Apple executives say this is to protect privacy. Interesting Apple strategy: Siri "predictions are kept on your device, not in the cloud." Sharp contrast with competitors' personalization. Sounds good, but it can be a problem when trying to connect with smart devices. Smart home users have pointed to Apple’s limited integration with some devices, as HomeKit only works with products that matches it’s strict security and privacy criteria. If a smart product doesn’t make the cut, HomeKit won’t connect, which could leave you with a piece of smart tech unable to be used, or only usable through other voice assistants like Cortana or Google Now, which can be annoying. Some big-name smart home brands left out include Nest, SmartThings, and Belkin WeMo, to name but a few. These are leading brands that many smart home users have installed in their homes and have invested a lot of money in. That’s a big problem. For some, these problems have resulted in a declining user base, evident in Apple’s ambitious but slow-to-develop home automation goals. Unlike Google Now, Siri better understands colloquial language, which makes it more natural to use. For me, this is huge and makes me feel more comfortable when using the assistant. While it does require certain phrases to run commands, its understanding of informal language is certainly a plus. Also, Siri is great at adapting to voice commands when used regularly, especially if those commands come from one user. So, while you might find Siri to be annoying at times, remember that practice makes perfect, even for automated voice assistants. Additionally, Siri has a great personality. Don’t get me wrong, when it avoids questions and answers with juvenile humor, it can be annoying. But when it completes a home automation task while telling a joke or throwing in a cool easter egg, it makes using the voice tool exciting and fun. For me, that goes a long way. Another big plus is Apple’s new HomeKit, which allows you to more easily use Siri to automate your home tasks. You can use it on the Apple Watch, iPad, and the Apple TV, which should give you more opportunities to interact with Siri. That’s pretty cool. And finally, while Apple’s smart home surge has taken a while to develop, maybe for the better, it seems to be on the right track in delivering exciting, innovative tech. How’s that? 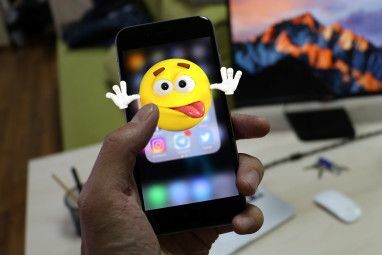 We’re talking about Apple here, who introduced Siri as the first intelligent assistant and has upped its spending on research and development to enhance products and update existing services. This is only good news for Apple lovers who want to use Siri to automate their home services. And now, let’s discuss Cortana. Microsoft joined the smart home stage with Cortana, its version of an intelligent voice assistant. And recently, Microsoft made-up ground in tackling Google and Apple by announcing that more products would be connected. As it stands, Apple’s strict regulations have hindered its ability to connect. 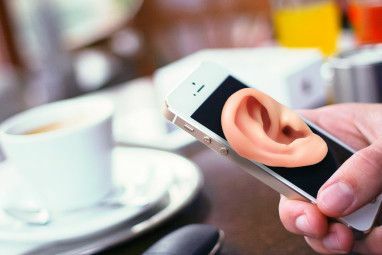 That hindrance has helped Microsoft connect with those devices, offering a chance for the short-lived voice tool to gain some ground. And the future looks even better for Microsoft, as Microsoft’s assistant will soon be able to connect to even more devices and protocols. The new Open Connectivity Foundation (OCF), expected in 2017, is one such protocol that promises to “move industries and the world forward” in connecting your devices. And IoTivity, which allows for “seamless” open-source connectivity until OCF is completed, was recently unveiled, too, allowing for even more innovation and connection. The future is bright for Microsoft, as the voice assistant is expected to play a major part in running commands for your smart home products. But let’s stick with what Cortana can do now. One thing I like about Cortana is how it anticipates questions and provides relevant answers without having to ask further questions, using its so-called Notebook. For example, when you ask for the weather you’ll get additional, relevant information. This can be a huge advantage when commanding your thermostat, for example. Apple’s Siri doesn’t do this so well, as mentioned above. But Siri does beat Cortana with it’s ability to understand informal language. Cortona (and Google Now) can get easily confused when asked questions with conversational language, which can complicate matters when using it to automate your home. This is something Cortana will have to do better if it want’s to compete. Another problem is that Cortona has been said by some to be the slowest in responding to voice commands. And while this topic is hotly debated, it’s repeatedly tested by users, meaning that we at least have some evidence. Cortana is not Siri. Cortana is not Alexa. It's a wannabe. And not a very good one, dang it. I blame Bing for its programs and slow results. There are reasons for it’s slow response: Cortona updates its Notebook and even opens web pages to answer some questions, which can slow down its response. Though these automated tasks help it resolve future commands and questions, it can be bothersome when all you want to do is automate a smart home gadget. When Cortana does work, it’s great, but it fails more often than Siri and Google Now, also evident by some users online. Last but not least, Cortana is the newest voice tool on the block. Hard to fault Microsoft for this, but Cortana was released in 2014, whereas Siri was released in 2011 and Google Now was released in 2012. For me, that extra time spent on the block, so to speak, adds to the “life experience” of Siri and Google Now, and certainly helps in the research and development phases. And now onto Google Now: Google’s voice assistant connects to the Google Home speaker to better automate your life, and is highly touted as the next big competitor to Apple’s Siri. How’s that? Unlike Siri, Google Now is described by some to better answer questions and complete tasks by getting things done before you even know you need them done How to Use Google Now to Automate Your Home and Life How to Use Google Now to Automate Your Home and Life Google Now can serve as voice control for your smart home gadgets, posting to your favorite social media accounts, and even tracking your health. Read More . What does that mean? It means that it can deliver information and services based on your search habits. It can better “learn,” anticipate, and predict what you might ask or want. While this might creep some people out, it can make a world of difference in automating home tasks and understanding what you might want. Apple and Windows certainly can’t compete in this regard. Additionally, Google has a major advantage it terms of available apps and services. You can use Google Now to perform tasks or answer questions with the help of Google Calendar, Play, Drive, Photos, etc, many of which are found online. It also takes advantage of its long-standing search engine. This could prove especially useful for your home services. There is a major lack of personalization when using Google. As it stands right now, Cortona and Siri are easier to use because they have personalities. And while they might get annoying at times, a more personable approach is better, and would do Google some good. For some, the lack of a name and personality might make using Google Now more difficult. And finally, the issue of battery life. While this is debatable, Google Now is known by many to drain your battery more than the other voice tools. Some people have even turned off their assistant to save on battery life. That’s certainly not something Google wants as it tries to become the leading intelligent voice assistant. Which Voice Assistant is Better? So there you have it. These are the three leading voice assistants designed to better automate your home. They’re highly regarded, hugely invested, and honestly, they’re all great products that will only get better over time. While each assistant might be great, there are factors that you’ll most likely prefer over others. So choose your device wisely and consider everything before deciding on your smart home voice assistant. You just might save yourself from some unwanted stress and wasted time. Explore more about: Google Now, Microsoft Cortana, Siri, Virtual Assistant, Voice Commands. Glad to know you learned a thing or two. What info did you like the most? Which voice assistant is recommended for those who feel awkward talking to a machine? good question. I'd say you'd be best talking with Google Now, seeing as how the voice assistant lacks a personality. They listen to ALL you say and send it back to the mother ship. What Apple, Google and Microsoft do with that data, is anybody's guess.